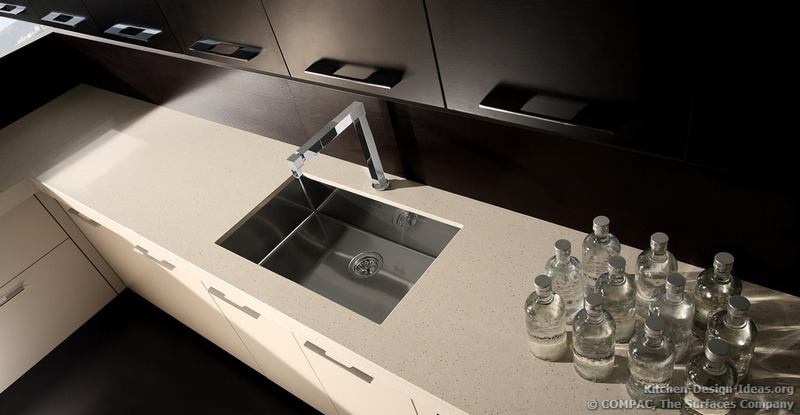 Scroll through this amazing gallery of kitchens designed with Compac quartz countertops, backsplashes, and other surfaces -- all manufactured by COMPAC, The Surfaces Company. 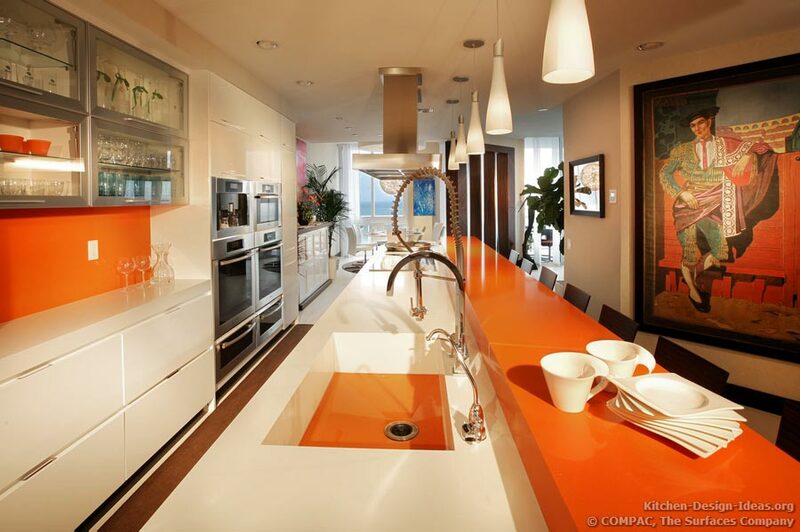 Brilliant white and orange quartz countertops make this modern galley kitchen really glow. 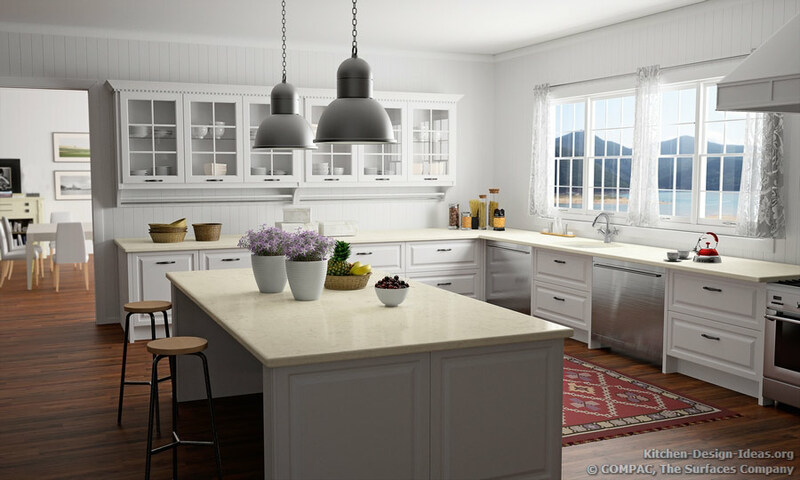 Look beyond the long kitchen island bar and you'll see that this luxury home also has an ocean-front view! 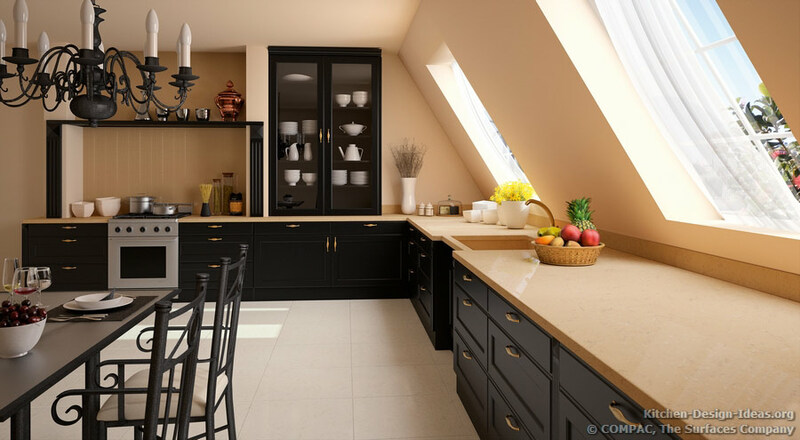 An incredible rendering of a black and white kitchen with a skyline view of Paris, France. 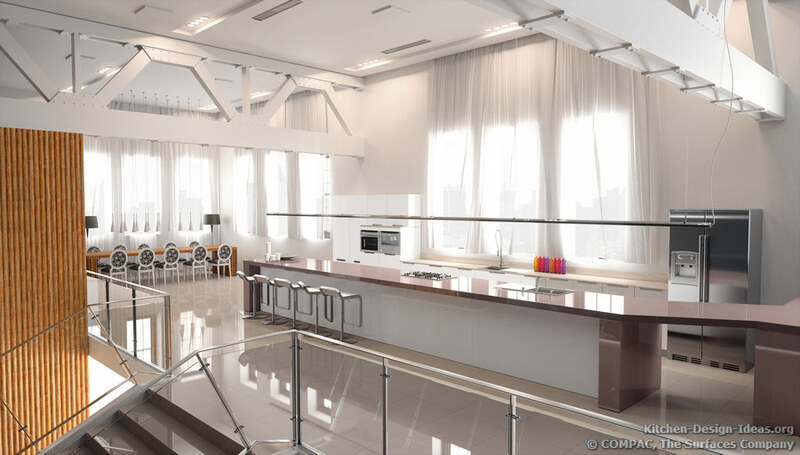 This modern open-plan kitchen exudes luxury with its beautiful skyline view, long stainless steel range hood, clear acrylic chairs, island table, and its TV lift built into the island countertop. 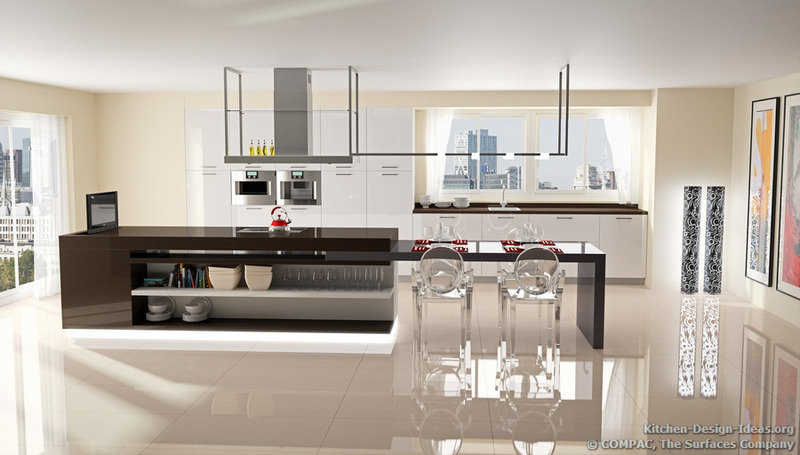 A modern industrial-style kitchen with black cabinets, white quartz countertops, a curved island table, and a tall stainless-steel range hood. 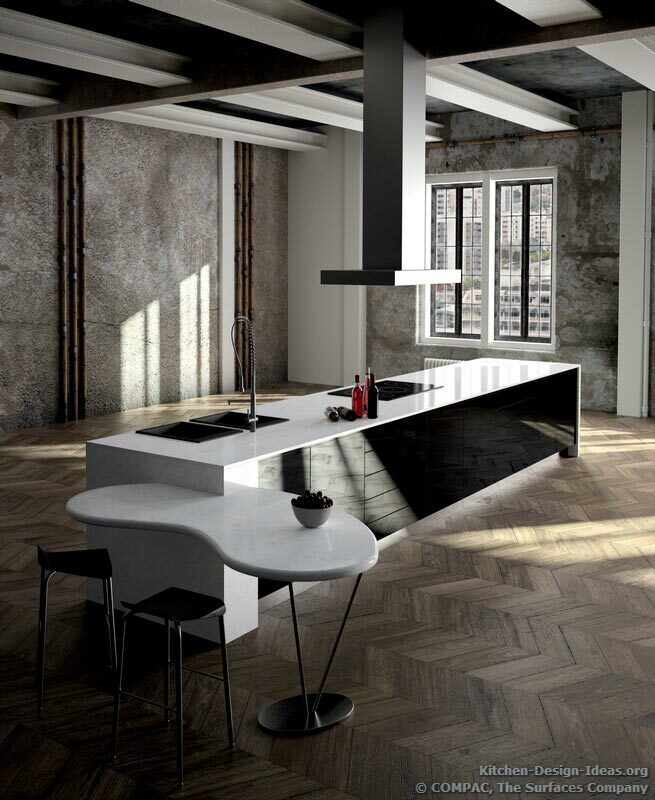 Large metal ceiling beams, rough cement walls, and rustic hardwood floors laid in a herringbone pattern give this kitchen a chic and gritty ambiance. 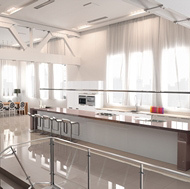 See their website for international locations. 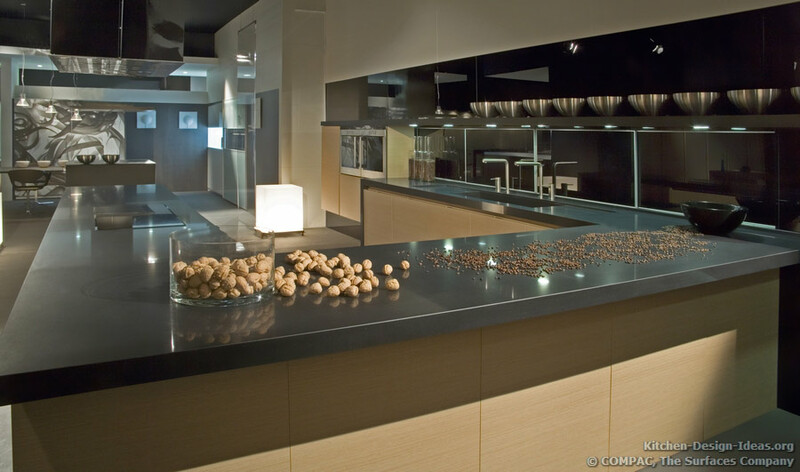 Company Profile: COMPAC, The Surfaces Company, is the leading company in Spain marketing high quality decorative surfaces. 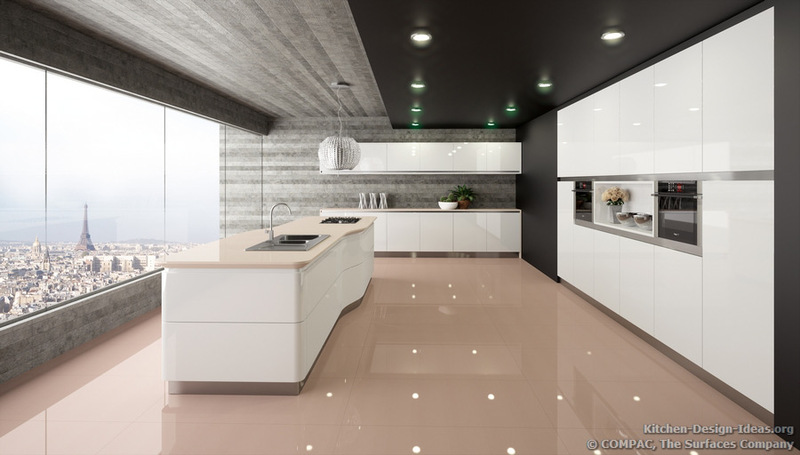 Founded in 1975, they were the first Spanish company specializing in the manufacture and distribution of marble and quartz surface coverings. 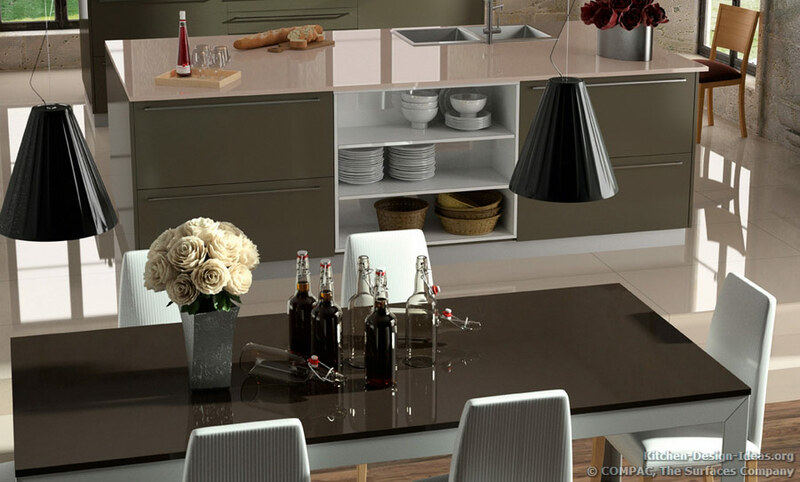 Today Compac is a large multinational company with 100% Spanish capital that has learned how to grow while preserving their flexibility and independent decision-making spirit. 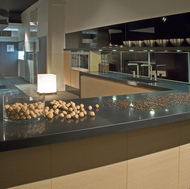 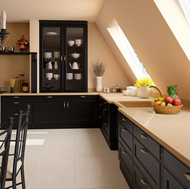 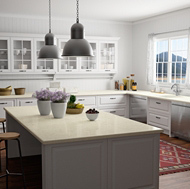 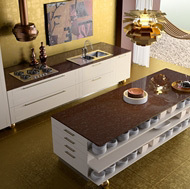 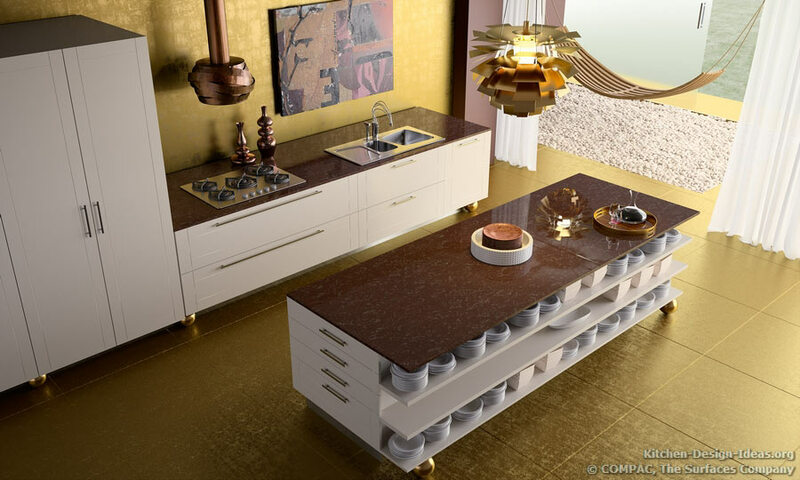 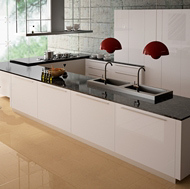 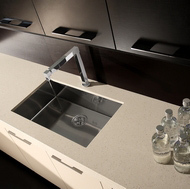 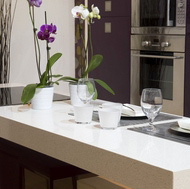 Compac quartz countertops have been installed in kitchens all over the world. 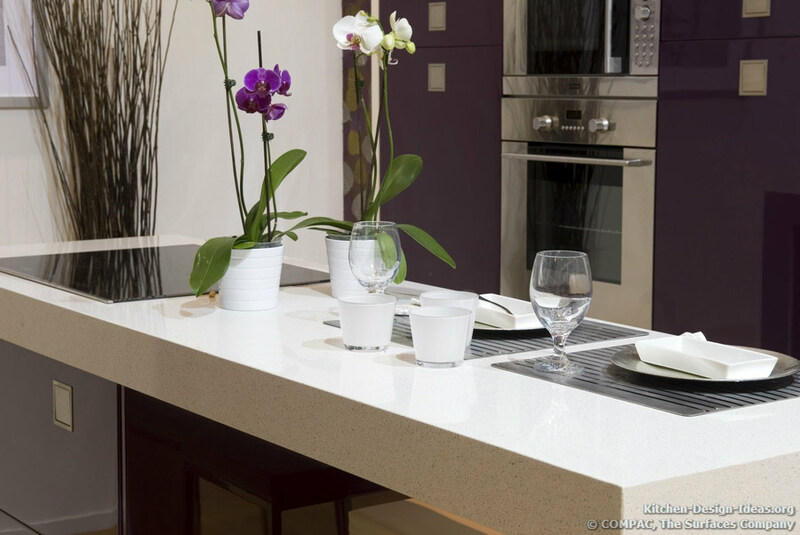 Beautiful, robust, and easy to clean, quartz is an excellent choice for homeowners who want to have a low-maintenance countertop that can stand up to everyday wear and tear and still brand look new for years to come. 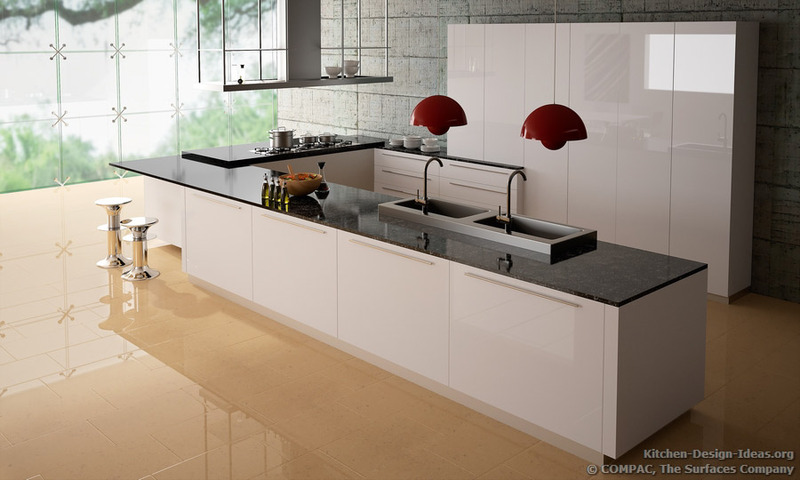 These products are also widely used for both residential and commercial flooring, kitchen backsplashes, wall cladding, as well as all types of kitchen and bathroom surfaces.